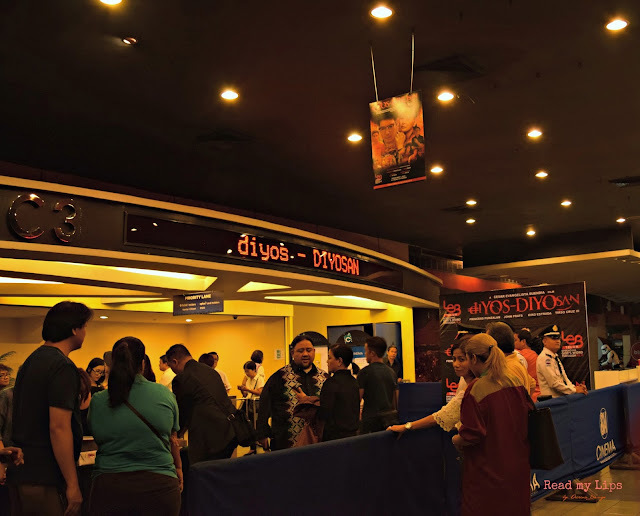 I was privileged to be one of the first people to view Diyos-Diyosan, a independent socio-political/religious film during its Advanced Screening last weekend at SM Megamall. Showing in cinemas today, it couldn’t have picked a more perfect opening date than five days prior to the most-awaited 2016 national elections. 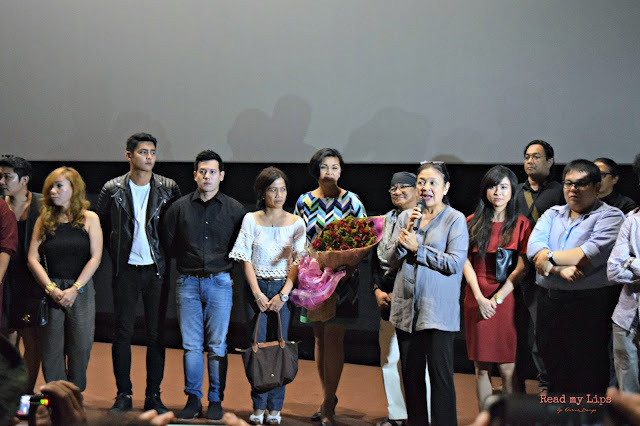 The movie is a comeback to the big screen of veteran actress Princess Punzalan and a detour to the mostly comedic roles of John Pratts. I had no doubts that Punzalan would make a stellar performance, but Pratts was truly a revelation. The film also starred Kiko Pangilian (who stole most of the show), Tirso Cruz III, Ryza Cenon, Vaness Del Moral, and many others. Diyos-Diyosan is about Estrell (Princess Punzalan), a high school teacher who taught her students to always believe in themselves as this would make them successful in the future. The thing is, she taught them to believe in themselves alone. She had no recognition of God. Her top student, Bernard Mojica (John Pratts) adhered to all of Ma’am Estrell’s teaching, and in turn became a rich and powerful man. He became a Senator of the Republic of the Philippines and is one of the prominent candidates for the Presidential Elections. Senator Mojica is not a clean politician though. He climbed his way through politics by stealing the people’s money, killing his opponents and all those who disagree with him. He got his first taste of felony during a fraternity hazing stint in college, and he never stopped from there. Ma’am Estrell then felt that it was her fault that her former student went astray. She later found God in her life, but she had a difficult time amending her lessons to Mojica and her other students who now live different lives. This scene made a big impact on me because this is the mentality that most people have. Voting might seem a harmless act; but in truth, it compels great liability. As the title of the movie implies, it actually talks about those people who think that they are God because of the money and the power they currently have. It shows a great comparison between these fake gods (Diyos-Diyosan) and the real God that we should all seek especially in a crucial era as the election. The biggest asset of the film is its pure intent to educate the voters, especially the millennials to thoroughly research on their bets prior to awarding them their precious vote. And by thorough research, it must go beyond social media. I personally think that our country needs more movies like this. Despite its very limited budget, Director Cesar Evangelista Buendia and the rest of the cast were able to create a gem of a story with a purpose. It is very brave of them to fight for viewership against the likes of Civil War and other Rom-Com movies. For what it’s worth, I am one with them in hoping that a lot of voters will see this film and make a better choice for a better Philippines. What are you waiting for? 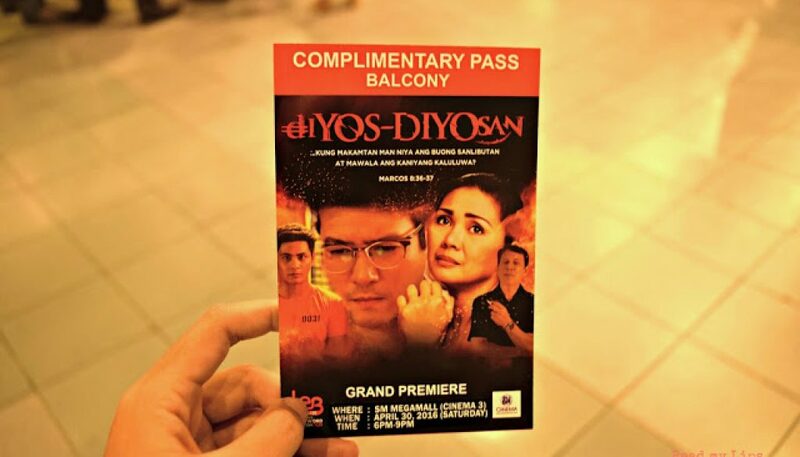 Show our country some love by watching Diyos-Diyosan now!